Diabetes is expensive. Medications, supplies and missed work quickly drain your pocketbook. Thankfully there are a few options to help relieve the financial burden. Diabetes Advocacy has information on how to save money on an insulin pump. We show you how to access lower cost infusion set options. We also have detailed information available to help you with tax savings. Read how to save on your taxes with the Disability Tax Credit. Learn about the financial assistance that you can receive when you open a Registered Disability Savings Plan. The Disability Tax Credit is a non-refundable tax credit available to Canadians who meet a very strict criteria set out by the Canadian Revenue Agency. One of the criteria is that you must take over 14 hours per week to perform life-sustaining therapy. This is the section that many people living with diabetes qualify under. Before you apply there are a few things that you need to know. Having diabetes doesn’t mean that you qualify. Not everyone with diabetes will qualify for the Disability Tax Credit (DTC). The criteria states that children with Type 1 diabetes do qualify. Adults (anyone over 18 years of age) however, must show that they spend over 14 hours per week on their care. You can take our quick quiz to see if you might qualify. Why do children get the DTC so easily? The reason that children qualify for the Disability Tax Credit is because CRA feels that the time that they spend on their care AND the time that their parents spend on their care, together is equal to more than 14 hours per week. Adults do not require the help of others for the most part. Therefore must prove that they, themselves spend over 14 hours per week on therapy to keeping themselves alive. Download our workbook to see if you spend over 14 hours per week of eligible tasks. Do I really spend 14 hours per week keeping myself alive? That is a question that only you can answer. I will say that if you are intensively managing your diabetes, then more than likely, you do take an inordinate amount of time out of your day to manage your diabetes care. A person who is not reliant on an external source of insulin to live does not have to be concerned about blood glucose readings, anticipated activity levels, impending illness, or fat contents of meals when planning their day to day activities. The average person does not have to draw up a syringe, put in an infusion set or calibrate a continuous glucose monitoring sensor. A person without diabetes does not have to keep track of their insulin requirements, blood glucose levels or activity levels in a journal. These tasks, while commonplace for a person with diabetes, are all tasks that are recognized by CRA and count towards the 14 hour total required to be certified for the Disability Tax Credit as requiring life-sustaining therapy. I hear that adults no longer qualify so why should I try? Some adults are experiencing a harder time getting the tax credit. There can be many reasons for your application being denied. You may be including tasks that are not recognized by CRA as being an allowable part of therapy. Things like grocery shopping, doctors appointments and trips to the pharmacy are not allowed to be included in your total. Another reason that adults are being turned down is because they are not providing details on their own specific care. Often people are turning to internet groups that have sample forms filled out. They then simply copy and paste the details that they have found. You should be using that information as a guide and filling out the application in your own words with your own specific care details. CRA is noticing a pattern of applications and is now beginning to question their authenticity. It means that you need to make your application your own. Spend one week detailing what you do each day. It will take you a lot of time to stop and write everything down. Time each task. Note how often you perform it. If you have trouble deciding what to document, our workbook might help you. Take this week’s worth of information and then compare it to your online resources. Eliminate the tasks that CRA won’t approve. Add in the tasks that you did but forgot to add in your personal list. Now total your time spent. Most likely, you will find that you spend more than 14 hours per week on your care. This data can also be shared with your doctor at your appointment. It will help he/she understand who much time you do put into your care. This will further be of use if he/she if they receive a follow up letter from CRA asking for more details on your care. Adults with insulin dependent diabetes who test regularly (6+ times per week), who inject insulin multiple times per day through injections or an insulin pump, and make their own adjustments to their insulin regimen should apply for the Disability Tax Credit. If you are turned down, you have the right to ask for your application to be approved by another CRA staff member. Sometimes the second review still does not turn out in your favour but don’t despair. At that point, you have the right to see all correspondence used in your file and begin a formal appeal process. If you are unsure of how to fill in your application or you just want someone to review your totals, I can assist you. Email me , check out the Disability Tax Credit page or check out our helpful downloads. For those who don’t know, an RDSP or Registered Disability Savings Plan is long term savings plan created by the Canadian government. There can only be one plan per person. That person must have an approved Disability Tax Credit application on file with the Canadian Revenue Agency . Unlike an RRSP, with the RDSP the government will provide grant money to the investor that can then be invested and earn its own income. When I first opened the plan for my son, my understanding was that the government portion (the grant money) had to stay in the account for a period of 10 years before it could be withdrawn. In my mind, this meant that the money that I put in when he was 15 coupled with the grant money would cover a new insulin pump for my son when he turned 25. I was wrong. An RDSP is meant for long term savings for an individual who has serious health issues. You can take the money that you put in out at any point. When you make that withdrawal however, the government portion must also be returned. In my case, I didn’t want to take the money out right away, I wanted to leave it for 10 years. There is however another catch. According to rdsp.com, “Disability Assistance Payments (DAP) can be made from an RDSP at any time, but grants and bonds may need to be repaid if they have not been in the plan for at least 10 years.” This meant that no one could contribute to my son’s RDSP for a period of 10 years prior to taking any funds out if we did not want to be penalized. There could be no grant money for that 10 year period or the amount that I contributed had to be more than the government’s grant portion. That was not what I had been aiming for. RDSP are not the short term savings vehicle that some of us had hoped for. They are a long term savings for those who cannot afford to save for their own long term medical expenses. They still offer “free” money unlike any other plan but like other retirement plans, require the owner to be in his/her senior years before needing the funds. It has been suggested that for parents contributing for their children, they should look at it as a safety net in case something happens to the parent. If parents were to pass early, it would give the child a bit of extra help in their care. For me, it is an individual choice that should be made with the help of both your accountant and financial advisor. I think that you have to have a clear idea of when and how the funds are to be used. At that point, you can better decide which of the current savings options are best for your family and your situation. Posted on April 12, 2017 February 11, 2019 Categories Financial AssistanceLeave a comment on RDSP–What was the catch? Most Frequently Asked Questions regarding the Disability Tax Credit. Its that time of year again…tax time! Here in Canada it is also the time that many people living with diabetes learn that they could be eligible for the Disability Tax Credit (DTC). Does everyone with diabetes qualify? No. In order to qualify for the DTC you must use multiple daily injections of insulin via syringe or insulin pump and be intensively managing your diabetes care. 2 What does intensively managing your diabetes care mean? You must be testing, injecting, logging, and adjusting your insulin doses. These tasks must take you over 14 hours per week to perform. 3. Do children with diabetes qualify? Yes, children under 18 qualify without having to prove the 14 hours. CRA assumes that the amount spent on diabetes care by both the parent and child would combine to be over 14 hours per week and therefore a diagnosis signed by the doctor on the T2201 is all that is required for their approval. 4. What is the Disabled Child Benefit? This is a separate amount that can be given to you for your child if your child is eligible for the DTC and you are receiving a Child Tax Benefit. 5. What is a T2201? This is the form created by CRA that must be filled out by the person with diabetes and their doctor in order to qualify for the disability tax credit. 6. I am not disabled! I don’t want to be labelled disabled. Why do I want to fill out this credit? The DTC, when applied to people with diabetes, is not about being disabled. A person with diabetes does not qualify based on a disability. They qualify based on the clause for people who require “Life-sustaining therapy”. This subsection is for people who spend an inordinate amount of time on the therapy that they require to live. 7. I have read that I can’t use the amount of time that I spend counting carbohydrates. Why not? CRA feels that over time things like counting carbs become second nature to a person with diabetes and therefore no longer takes an inordinate amount of their time. 8. I have to exercise because of my diabetes. Can I count the time I spend at that the gym? No. Everyone should be exercising and while there is added benefits for a person with diabetes, this is not an activity that will be allowed on your application. 9. What tasks can I include in my application? The Diabetes Advocacy website includes a comprehensive list of what sort of tasks are allowed and a guide of how much time it takes to perform them each day. 10. Do I need to send CRA my log book? There is no need. CRA simply wants to see the tasks that you do each week with a specific breakdown of how much time those tasks take. You doctor however may ask that you keep track of what you are doing for a period of time and bring it to him/her before they will sign off on the T2201 for you. 11. Who can sign the T2201? A medical doctor must sign this form. This can be your family doctor, pediatrician, internist or endocrinologist. Choose the person with the most knowledge of your care and understanding of what they are signing. Their support is vital to a successful application. 12. Do I need to pay someone to fill out the T2201? No. There is no reason to pay a fee or a percentage of your return to have this credit filled for you. Diabetes Advocacy does offer a service to assist in filling the forms for those who are not comfortable in doing this themselves. I also have created a booklet that guides you step by step on how to fill the form that can also be purchased here. 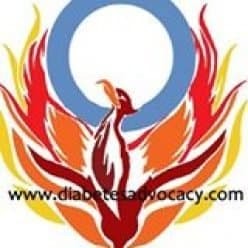 advocacy @diabetesavocacy.com and I will do what I can to help. 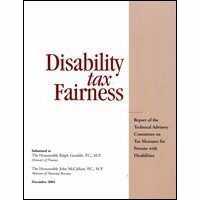 Posted on January 23, 2017 April 16, 2019 Categories DTC4 Comments on Most Frequently Asked Questions regarding the Disability Tax Credit. Can I get the DTC if I am an adult insulin pumper? For a number of months, there has been concern about a video posted on the CRA website. It suggested that using an insulin pump did not allow a person to be eligible for the Disability Tax Credit. Many people have written letters to their MP as well as CRA. Diabetes Canada has also made the issue of easier qualifications for adults with Type 1 diabetes a priority for the upcoming federal election. What does this really mean to people living with diabetes, however? Do they no longer qualify for the DTC if they are using an insulin pump? A member of insulinpumps.ca staff received the following response from CRA…. Early on in the fight for fairness regarding the Disability Tax Credit, people living with type 1 diabetes, successfully argued that a person using an insulin pump was actually injecting insulin 24/7. This meant that they easily spent more than 14 hours per week on life-sustaining therapy. It is not surprising that CRA quickly made an amendment to their policy. They no longer consider the time a machine/device requires to deliver therapy as part of the 14 hour therapy total. This does not mean that people who use insulin pumps no longer qualify for the DTC. It means that the time the pump spends delivering insulin does not count towards time spent on therapy. The amount of time dedicated to diabetes-related tasks such as bg testing, ketone monitoring, logging, making dosing adjustments, as well as site changes and pump maintenance is still used in the 14 hour calculation of therapy. The video posted online and the CRA website, unfortunately does not clarify this. That can be problematic. Doctors who rely on the CRA website to guide them on what is considered therapy when dealing with Type 1 diabetes may be led to think that insulin pumpers in general do not qualify for the DTC. Even those living with Type 1 diabetes may wrongly think that they no longer meet the qualifications. Being an adult with Type 1 diabetes does not automatically qualify someone for the the DTC. Being a child under 18 with Type 1 diabetes does. Using an insulin pump does not automatically qualify you for the DTC–neither does using multiple daily injection therapy. The key to qualification is to intensively manage your diabetes care. This means that you spend over 14 hours per week on such things as testing your bg levels, monitoring for ketones, changing infusion sites, injecting insulin, logging daily diabetes related activities, and other diabetes related tasks that a person without diabetes does not have to do to maintain life. Tasks such as carb counting does not count towards therapy nor does the amount time spent recovering from a low blood glucose level but many other tasks do and can quickly add up to spending over 14 hours per week on life sustaining therapy. Posted on October 16, 2014 January 8, 2019 Categories DTCTags disability tax credit, DTC, qualifying for DTC, tax relief and diabetes, type 1 diabetes1 Comment on Can I get the DTC if I am an adult insulin pumper?